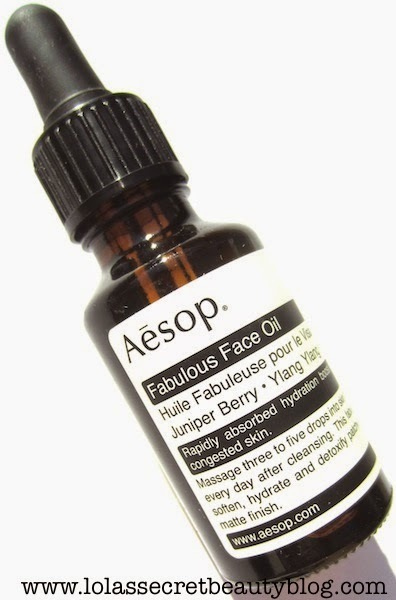 Aesop Fabulous Face Oil is a lovely daily moisturizing beauty oil that was formulated with normal, dull, sensitive, reactive or congested skin types in mind. While I find it quite nourishing for my combination skin, I do think that drier skin types would prefer the richer formula that their Damascan Rose Facial Treatment provides (reviewed here). Nine carefully selected botanicals deliver exceptional hydrating and fortifying benefits to detoxify, smooth and balance normal or patchy skin, with a non-greasy finish. Suited to all seasons, cities and skin types. This much-adored facial oil works on all skin types, but is especially good to use if you have sensitive, congested and reactive skin. The juniper berries, jasmine and ylang ylang make this natural serum smell stunning, a lovely boost in the morning, for a facial massage or as a night treatment. Only a few drops are needed and when used daily with your regular moisturiser it softens, hydrates and detoxifies patchy skin and leaves a matte, non-greasy finish. Fabulous Face Oil is aptly named because it really and truly is fabulous. It is lightweight, fast absorbing and utterly silky in texture. I apply a couple of drops to warm and damp freshly cleansed skin, and then marvel as it sinks in immediately leaving behind only an ethereal and healthy glow. My skin is left indescribably soft, smooth and lusciously hydrated. If my skin is at all irritated, this lovely elixir quickly calms and balances it. On the rare occasions that I have a break out, Fabulous Face Oil eliminates the redness and the pimple(s) with remarkable efficacy and speed. Fabulous Face Oil boasts a gorgeous blend of oils, but it is the earthy warmth of Ylang Ylang that rushes to the foreground to soothe the senses. It is warm, calming and luscious, but it does fade a few minutes after it absorbed into the skin. Ingredients: Macadamia Ternifolia Seed Oil, Prunus Amygdalus Dulcis (Sweet Almond) Oil, Camellia Japonica Seed Oil, Oenothera Biennis (Evening Primrose) Oil, Cananga Odorata Flower Oil, Triticum Vulgare (Wheat) Germ Oil, Juniperus Communis Fruit Oil, Corylus Avellana (Hazel) Seed Oil, Tocopherol, Jasminum Officinale (Jasmine) Oil, Linalool,Benzyl Benzoate, d-Limonene, Eugenol, Farnesol, Benzyl Salicylate, Geraniol, Benzyl Alcohol. 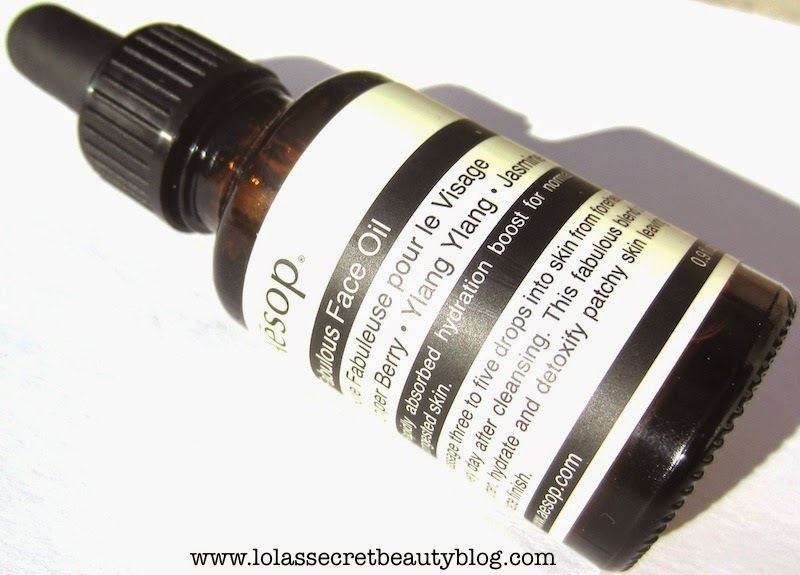 Overall Assessment: This truly is a fabulous face oil! If you have oily to combination skin and have long feared trying a face oil, then this is a great one to consider. 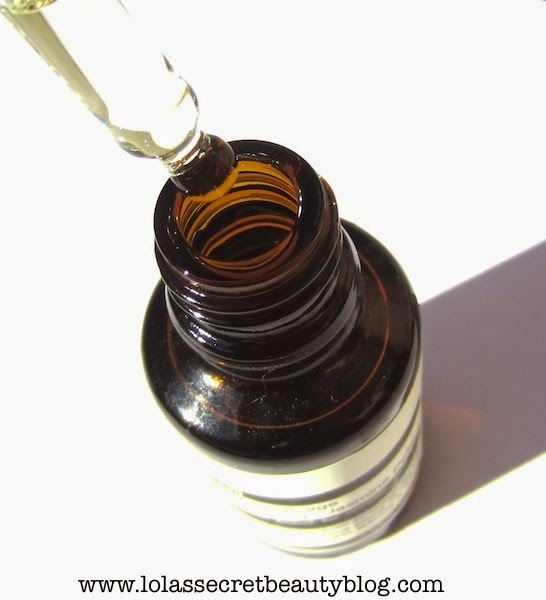 Likewise, Fabulous Face Oil will do wonders for sensitive or irritable skin types. However, while it can be used on most skin types, I don't think that drier skin types will find it moisturizing enough for their skin. Furthermore, if you aren't a fan of the earthiness of Ylang Ylang, then this probably isn't the oil for you, but the aroma is neither pungent, nor long-lasting. In my estimation, Fabulous Face Oil is a delectable lovely oil! $57.00 for 0.9 oz. from Barneys New York, Amazon, Adore Beauty, Cult Beauty UK (£40.00), Cult Beauty Ltd, Fragrance Net and Aesop (Affiliate Links). 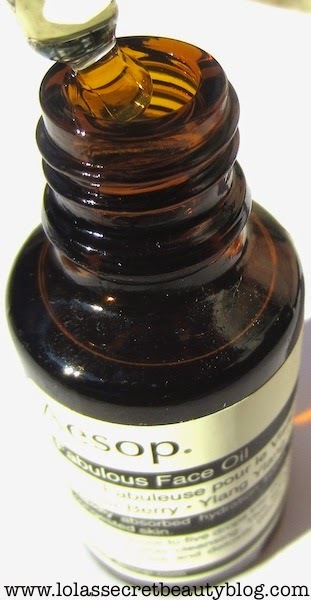 Hey Helen, I think I have tried a sample packet or two of this, but my favorite Aesop oil remains the parsley seed one! It's really more about the scent than how they work tho. Personally, I am not big on ylang ylang! It really truly is, Courtney! I wondered about this oil. Thanks for the review. I won't be getting it. I definitely think that there are plenty of other oils better suited for your skin! There's something about oil in a glass vial that just screams luxury to me. I know what you mean, Krystal! This sounds amazing my sweetest one! I am reporting back on the squalane oil by Indie Lee and no bad breakouts here. A few red spots here and there but I have those with every little new thing I try ever. i like it. it makes my skin radiant. Still in love with Tata Harper's line which has been, so far, the only treatment to effectively and noticeably cancel my redness. I am in skin care heaven, for now, let me hastily add since I do know my skin is a very reactive, emotionally unstable creature. how are your wonderful furries? It is amazing! I am so glad that your new oil is working so well! What about Tata Harper's Face Oil? That might be worth trying next since her line is working wonders on your skin! Anything that is making such a noticeable difference is worth sticking with! Love Aesop. I used to buy in Singapore and I liked their products. Hi Norah! Isn't it an amazing line?! This sounds pretty awesome. I need to try stuff from Aesop! Aesop makes some truly amazing products! This oil is really awesome, indeed! I think this will work for me! First it's because of the name fabulous, lol ; second, I have maturing yet somewhat oily face! I think that this might just be a really good fit for your skin, Kath! I love this oil! I've been curious about Aesop for forever. This face oil sounds divine! Aesop is really worth trying out, Jamie! 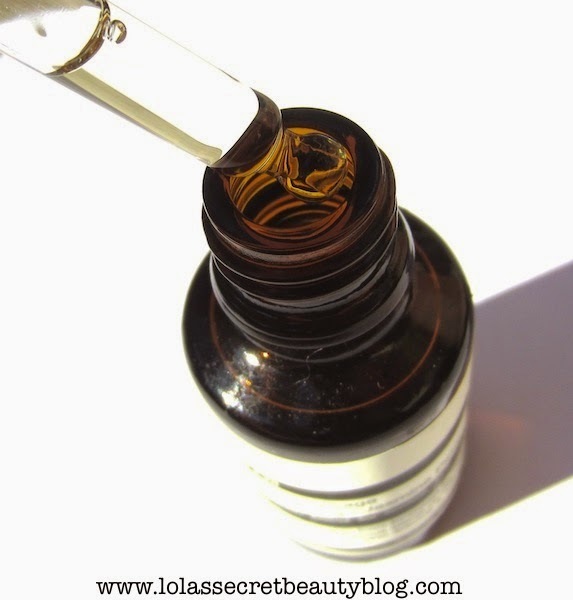 They make so many wonderful products, and this oil definitely is divine! I love face oils but have never heard of this brand before. I'm going to have to check this out! Hi Brianna, Aesop is a rally amazing line! Their face oils are well worth trying. THeir Damascan Rose Facial Treatment is one of my favorite face oils! Hi Bailey! Thank you! This is definitely an oil worth considering! I've tried some of those oils on their own before, but never in that combination. I think I'm going to consider giving this one a try. I've yet to find a great moisturizing oil that works well for my skin.